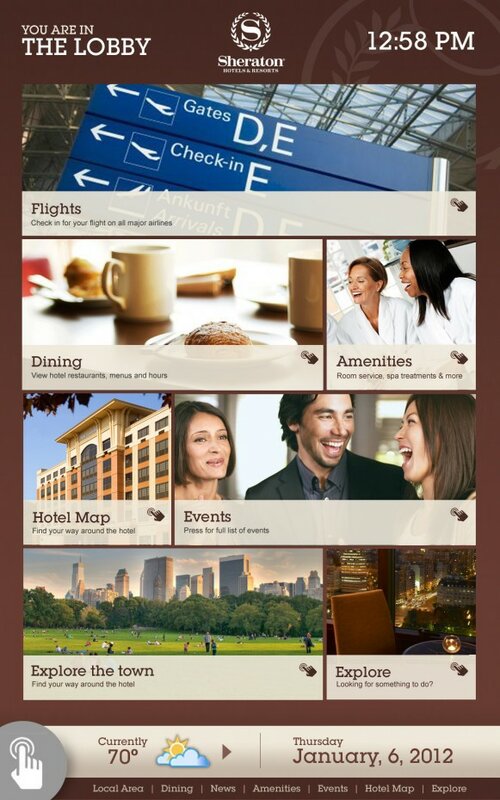 The Sheraton Hotels & Resorts digital signage system was created as a global standard for how individual Sheraton hotels should create their digital signage. 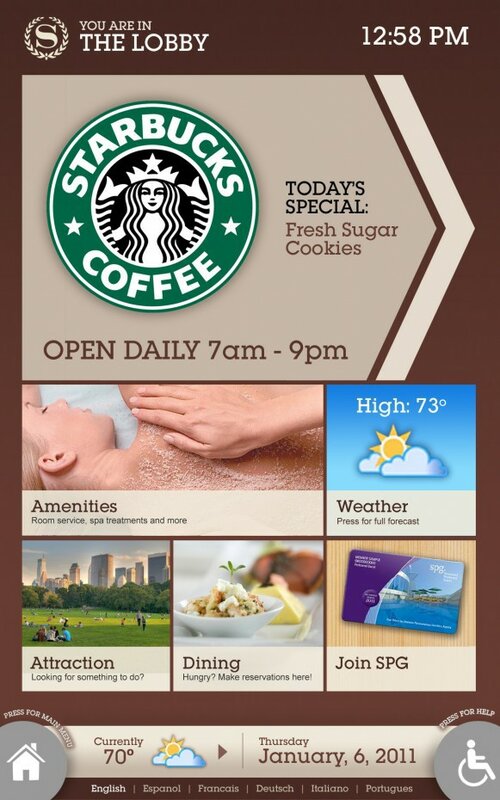 The Sheraton Hotels & Resorts digital signage system was created as a global standard for how individual Sheraton hotels should create their digital signage. 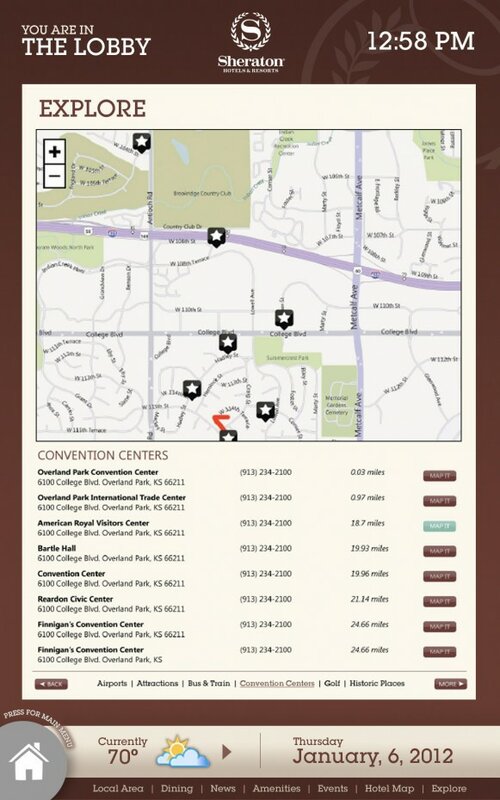 The digital signage designs cover ever possible screen found in a hotel including meeting room signs which are featured outside each conference room and showcase individual and conference-wide event details, local maps, and information about property amenities. 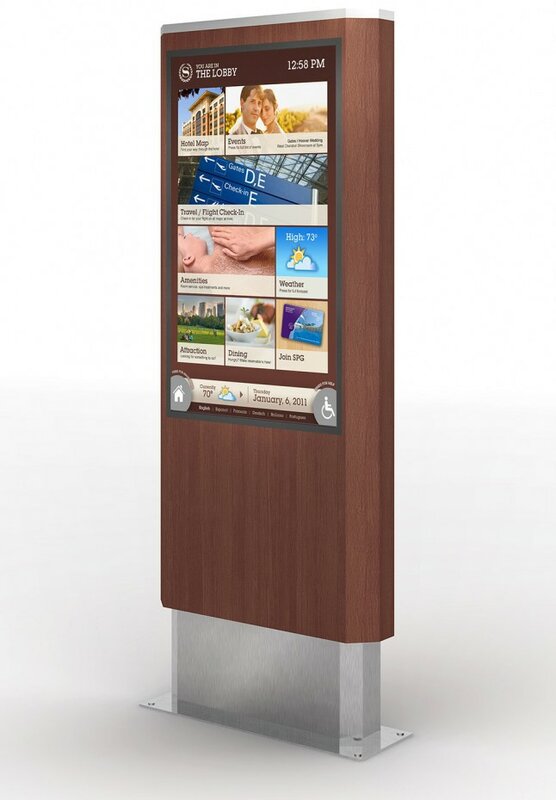 Wall-mounted and free-standing large-format LCD screens stand at optimal viewing locations that feature interactive content, events and property maps.